Clara Kuperberg & Julia Kuperberg, France/U.S., 2018, 53 min. During the peak of the silent era, the dashing Douglas Fairbanks was the first "King of Hollywood,” ruling the box office in a series of epic adventures — swashbuckling in The Mark of Zorro, dueling in Robin Hood, and soaring in The Thief of Bagdad. 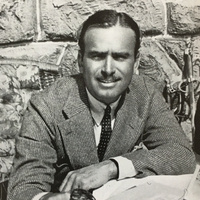 Using first-person narration — with the actor voiced by Peter Facinelli — I, Douglas Fairbanks deftly combines film clips and newsreel footage to tell the fascinating story of both Fairbanks and early Hollywood. French producer Martine Melloul participates in a Q&A. The documentary screens with the newly restored silent The Half Breed. The smiling swashbuckler Fairbanks starred in this Western melodrama written by Anita Loos and directed with flair by Allan Dwan. St. Louis’ Rats & People Motion Picture Orchestra returns to SLIFF with an original score and live accompaniment.